So far, Rob Marshall’s career as a director of movie musicals has been marked by what seems like embarrassment over the form—a particularly strange trademark, given his origins as a choreographer and director of musical theater. In his film versions of both Chicago and Nine, Marshall combines staginess and general remove (most of the numbers are set on minimal, play-like sets, and usually in the main character’s head) with MTV-cutting to create a worst of both worlds: musicals that are all flash and minimal cinematic invention. 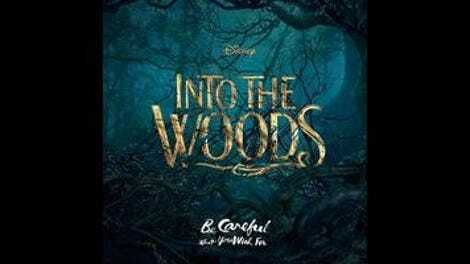 Into The Woods, Marshall’s third movie musical, is based on a Steven Sondheim stage show and, as such, is closer to sung-through than either of his previous films. The material forces Marshall to actually integrate the music into the action, with characters who really do sing to each other in a story that doesn’t make clunky excuses for them to do so. It probably helps that the narrative is set at an intersection of classic fairy tales, where singing doesn’t feel quite so out of place, even for musical-averse audiences. A witch (Meryl Streep) informs her neighbors, a baker (James Corden) and his wife (Emily Blunt), that she can break the curse that has left them childless if they can retrieve certain objects for her spell. This sends them into the woods, and toward familiar characters like Red Riding Hood (Lilla Crawford), Cinderella (Anna Kendrick), and Jack (Daniel Huttlestone), of beanstalk-climbing fame. The original material by Sondheim and James Lapine (who also handled the screenplay adaptation) fractures these familiar tales to varying degrees—first slightly, in allowing the characters to cross paths, then more so as the story complicates the expected happily-ever-afters with disappointment and familial strife. It’s a tricky balance, and at times the movie tangles up Sondheim sophistication and Disney accessibility; it brings in Mouse House go-to Johnny Depp as the Big Bad Wolf, for example, but mutes much of the sexuality of his song “Hello, Little Girl.” By keeping it within certain boundaries, the movie reduces a small but thematically rich role to an enjoyable cameo. “Agony” is one of the most distinct musical numbers of the film, placing the princes at the top of a waterfall; it’s like something out of a medieval music video. Elsewhere, Marshall still doesn’t show much visual invention when translating a stage show to the screen. The forest environment opens up, but the movie doesn’t reconceive the plot’s coincidences, which make more sense on the fixed space of a theatrical stage. The witch’s repeated pop-ups, where she hectors the baker and his wife about their deadline, look especially staged when they’re happening on bigger, more enveloping sets, and the way the characters keep running past, around, and after each other makes the movie feel busier and less elegant than it should. 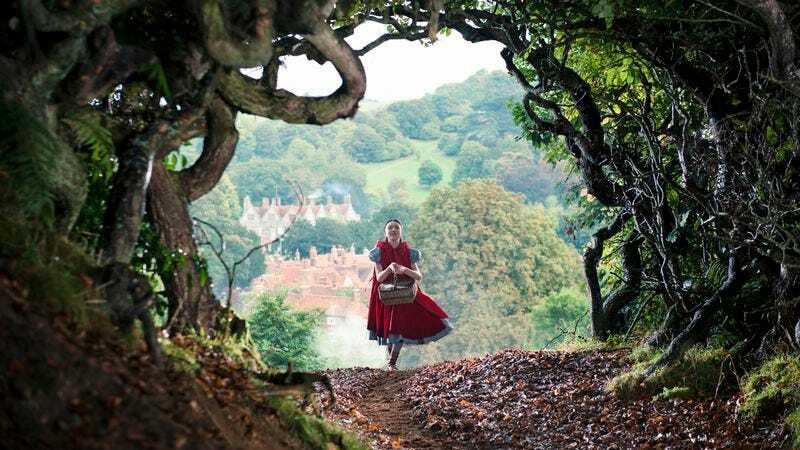 Still, even if this Into The Woods lacks the exhilaration of the best movie musicals, it does capture the show’s emotional intimacy—no small task in a field that favors razzle dazzle. The success of future Marshall musicals is assured, as long as he keeps working from Sondheim and re-hires Streep, Blunt, Kendrick, and Pine.